Global economic growth remains steady in 2014, but ocean carriers have struggled to gain profits from increased shipping activities. Although recent alliances between a few European companies have largely mitigated this issue, spend analysis reports have shown that quarterly profits from 2013 resulted from cost reductions, slow steaming and service cutbacks. According to SupplyChainBrain contributor Robert J. 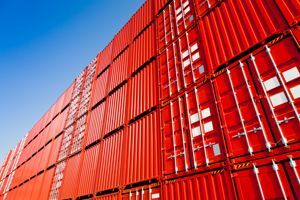 Bowman, JOC Group economist Mario Moreno anticipated that the United States' containerized imports will grow by 6.7 percent over the next year, reaching a new high of 19 million 20-foot equivalent units (TEUs). In addition, American exports will most likely rise by 1.8 percent, totaling 12.4 million TEUs. Bowman noted that the activity looks promising, but whether or not carriers will be able to handle the demand is another matter entirely. So what's hindering the oceanic procurement process? Bowman pointed toward an increase in ship scrapping, with many of the vessels still functional. In addition, the slack demand as a result of the global economic downturn of 2008 slowed trans-Pacific and trans-Atlantic distribution, causing many carriers to scrap ships in order to make whatever money they could. Leaving liners to sit idle at foreign ports is expensive, so jettisoning the material appeared to be the best option. Alliances between different shipping companies may put independent operators out of business, as larger concords between three or more carriers result in more resources being available to efficiently transport goods across the Pacific. Though short-term rates are often viewed as ways to drive down long-term pricing, Conrad cited this technique as misguided spend management. Temporary charges won't cover lengthy rate agreements and could destabilize pricing. Budgets are expected to be constricted in 2015 and 2016, as more carriers move toward low-sulfur fuel, which costs on average $120 per metric ton more than traditional resources. Also, the addition of larger vessels could exceed demand in 2016, resulting in more idle ships. Though bigger ships will be able to satisfy immediate demand more efficiently than smaller counterparts, carriers should be wary of this predicted shift in demand.